Given Jefferson’s practice of methodical record keeping, I had visions of deep research in to the origins of his first wine and long searches for a modern-day and economical equivalent. George Wythe. Attorney, Judge, Signer of the Declaration of Independence. Early mentor to Jefferson. We will never know what was lost in the fire at Shadwell – no doubt many of the great books and meticulous notes of Jefferson’s early life. Although Jefferson’s first wine is unknown, his first introduction to ‘good wine’ likely occurred during his days in Williamsburg, VA when he was a student at William & Mary and where he later studied and practiced law. During Jefferson’s time in Williamsburg, he traveled in the circles of well-regarded colonials like George Wythe, mentor, judge and fellow signer of the Declaration of Independence, and Francis Fauquier. As the royal governor of Virginia, Fauquier hosted extravagant parties where Jefferson and other guests drank imported wines. Although the French had long since stopped using the term, ‘claret’ was widely used in 18th century colonial America which was derived from the earlier French term ‘clairet,’ meaning clear or light-colored. 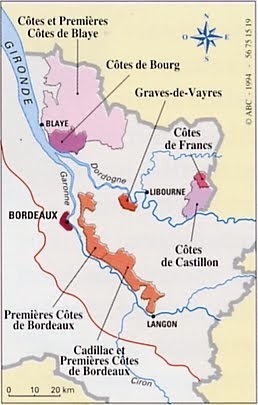 (Hailman, p. 36) Claret was first used to describe the light red wines that were sold from the port of Bordeaux. Although still used throughout the world today, and here in Virginia, the term ‘claret’ is used primarily by the British to describe red wine from the Bordeaux. In fact, claret is a protected name within the European Union. The French do not use the term except on exported wine. As with many ‘facts’ surrounding the life and times of Thomas Jefferson, the wines of his early years (before the age of 25) are debatable. If someone has information surrounding the first recorded wine of Jefferson, I would certainly be interested in the citation.